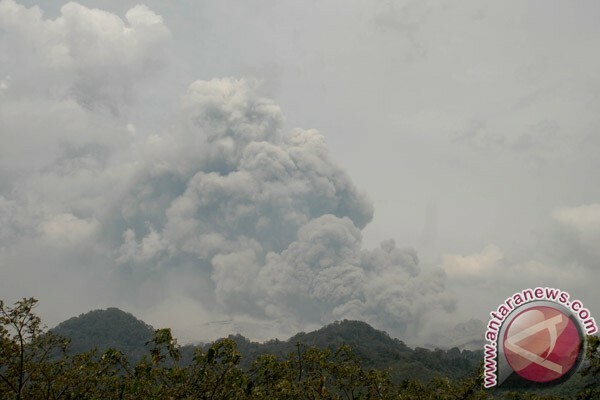 Blitar, East Java (ANTARA News) - Mount Keluds eruption last Thursday has damaged 70 percent of protected forests within a radius of three kilometers around the volcano, a forestry company spokesman stated here on Tuesday. The spokesman of Blitar district chapter of state-owned forestry company Perum Perhutani, Heri Purwanto, noted that total forests that have been severely damaged have reached more than 2,580 hectares. The forests that have been damaged reached 70 percent of the total forests on the mountains slopes covering 3,885.4 hectares of them. "This is still our temporary estimate made based on the 1990 eruption that destroyed up to a radius of five kilometers," he pointed out. Besides that he added that Perhutani has also directly checked the affected area. He stated that the worst damage was found in Plot 3, RPH Penataran in Wingli reaching 1,375 hectares out of a total of 1,738.4 hectares. He added that the area is located right in the middle of the crater or the eruption center. An equal amount of damage was found at Plot 6A in Wlingi reaching 1,205 hectares out of a total of 2,146.9 hectares. "Total loss suffered by the state is estimated to be at Rp 19 billion," he commented. He pointed out that damages were also found in a number of production forests in buffer zones beyond a radius of three kilometer from the peak. However, it is believed it was not as bad as those within a radius of three kilometer from the crater. "As in the 1990 eruption, molten lava and hot volcanic materials have caused massive destruction," he remarked. It would take three to four years to rehabilitate the forests based on this estimate, he pointed out. He added that Perhutani in Blitar is still collecting forest destruction data before reporting the final results to the ministry of forestry for future rehabilitation planning.